Prepare to transform you swim! We have included 50+ unique swim workouts categorized by speed, endurance, strength and race prep that will not only make you a more confident swimmer but a faster triathlon swimmer. Just follow the simple formula we have outlined and prepare to amaze yourself. With distances ranging from 1500-5200 yards there are swim sessions for everyone. 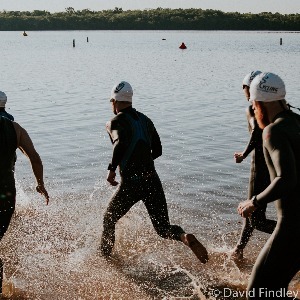 These are the same workouts I have used to help hundreds of swimmers and triathletes take huge chunks off their swim times while coming out of the water fresh to tackle the rest of the race. Please email me at c26coach@gmail.com with any questions regarding plan outline, setting appropriate zones/paces, terminology, methodology, t-shirt size and/or personal coaching inquiries. Thank you for choosing Crushing Iron Coaching.